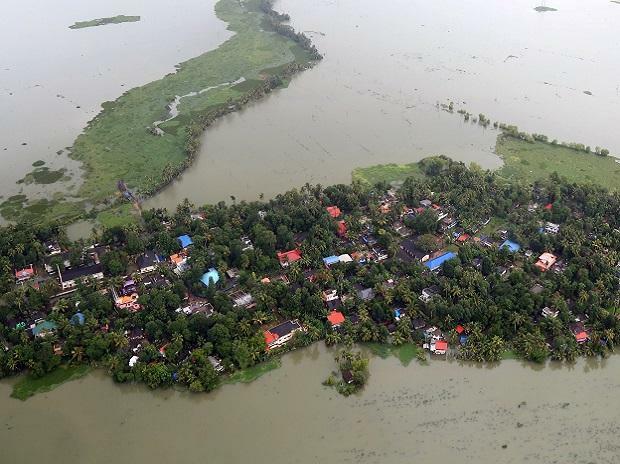 While the situation in Kerala after floods is certainly heart-moving and saddening, it is hard to believe that this is like an act of God that happened overnight. I clearly remember while working on some critical projects last year, we heard about a hurricane headed towards my employer’s offices in Tampa, Florida. A quick evacuation was ordered with ample amount of time to gather basic stuff and foods etc. Hurricane came and passed with no loss of human life and limited physical damage. So, it is hard to believe that no prior notice came to the local authorities in Kerala before the calamity actually hit. It is equally hard to believe that all the early warning systems failed to help the cause. This is a pure human failure and one so perhaps manufactured due to an inefficient regime sitting for local administration there. ‘I just don’t understand how people seem to appreciate the state administration & the CM for apparent leadership, when they’ve failed the most fundamental test: NOT preventing of a preventable disaster. This flood was not caused merely by excess rain; 40% excess precipitation over 3 months of monsoons cannot have caused this, nor is it a terrible outlier. This was caused by human blunder. The Kerala state govt could’ve prevented it but didn’t have the foresight to. They knew the reservoirs were full by July. Scientifically reliable & freely available weather forecasting systems were predicting 2000 mm of additional precip in Aug. The first function of dams is as storage. The right thing to do with any storage system is to have a proper input & output prediction & management. They could’ve had a warning system, water management system, looked at proper weather forecasting & released water in manageable quantum over a period of 15 to 20 days yet omitted to. They should’ve realized the danger a few weeks in advance (assuming they have cognizance & sobriety). Instead they waited till overflow & opened all the dam shutters at once. Instead of heavy but manageable drainage flow, we got a deluge. No surprise. In the middle of rains. It’s the people who have paid dearly, not the decision makers who make no decision actually. And it’s the best governed state – by which metric, I wonder? Do not praise the ignorant for a superficial display of leadership in the relief after the disaster when they could’ve prevented it but did not & clearly are not capable of. If you elect fools, you will fall with their folly. Amidst the claims and counterclaims about the said Rs. 700 crore aid promised by UAE to Kerala, one only loses heart to the doing of some foolish people. It is very painful that the whole thing is being quite shamelessly politicised by the local regime. The UAE itself had to come out and make statement that it has offered help but no number is in the play. One wonders if the things have gone so bad that some people took advantage and created their own funds on top of CM relief fund seeking out donations. One such was from IIM Kozhikode Alumni association. So much was the haste and desperation of this alumni group to seek funds that they used a personal gmail ID as their nodal contact point. Also, the account that was shared was a savings account. And when people questioned the person who posted this in multiple groups on whatsapp and telegram, the firebrand messenger, claimed that she has authenticated and this is all genuine. What she forgot to mention that she is the executive member of the same alumni association. No one knows whether and how these funds will be used. I hope it reaches its home. Similarly for the CM fund, it is managed by the same people who originally took decision on management of the dam flood gates. While the damage caused can never be repaired to bring it back to the original shape, one just hopes the administration does not create manage the relief fund and work better than how they managed the early warning signs of the floods.